Minneapolis Modern Quilt Guild had a Kona solids challenge—we each received one or more charm packs and made something with them. 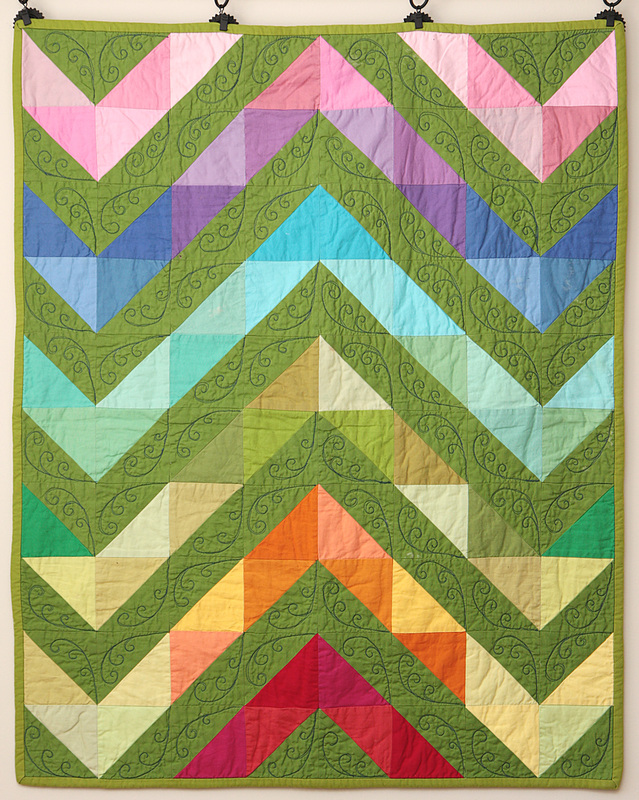 I made two quilts for this challenge, this was the second one. For the backing, I tried dyeing the whole top after piecing to tone down the colors, but it just made the entire top kind of blue. 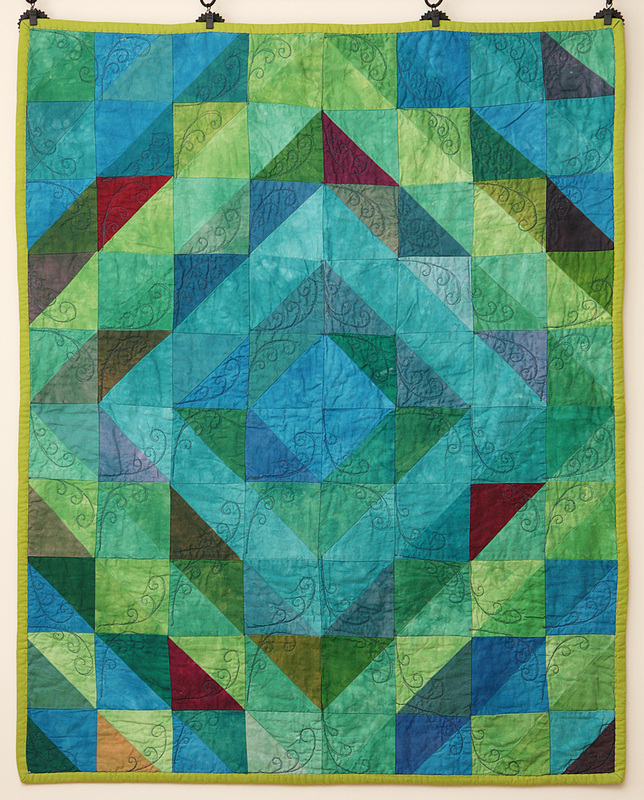 I do like the quilting I did here, though! This quilt was donated to a local charity.